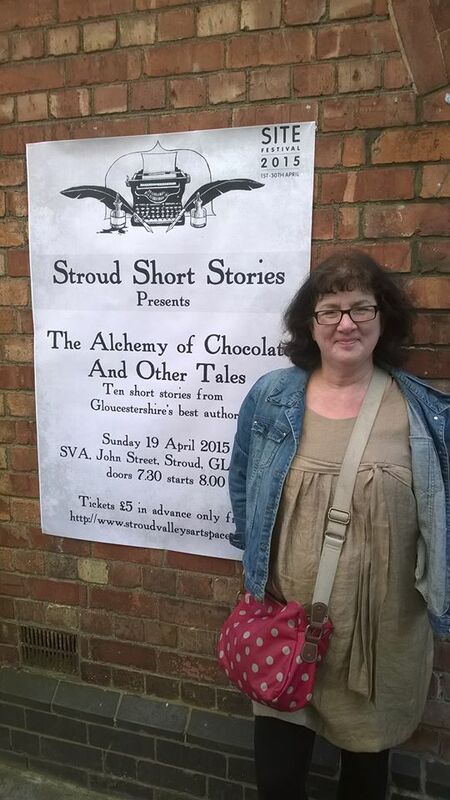 This weekend, I was privileged to take part in a special evening of live performances by 10 Gloucestershire authors of their short stories, chosen for the latest Stroud Short Stories programme. Not only was my story, which also appears in my collection Quick Change, chosen from among 128 entries for inclusion, but also the event was named after its title: The Alchemy of Chocolate. The event was held in Stroud Valley Arts, a small, intimate venue with slate grey walls and a low ceiling, cosy and inviting. 75 seats were squeezed in to accommodate the audience. Such is the reputation of Stroud Short Stories as an entertaining and enriching event that tickets, a bargain at £5 each, had sold out weeks in advance. On the subject of money, I ought to point out that this short story festival makes no money whatever – it’s run simply for the love of the short story and to give a platform to local authors. It’s also designed to give new, as yet unpublished writers the opportunity to share the stage with more established authors. The passion behind this voluntary project shone through in John Holland’s witty commentary and careful nurturing of both authors and audience throughout the night. Its impact was clear from meeting a young girl who had been brought by her mother to encourage her interest in writing. I was third up on the two-part programme – a great spot as it meant the audience was already warmed up when I took the stage, and after I’d finished reading, I could relax and enjoy the remaining seven stories. As I sat waiting my turn, I was glad my friend Caroline Sanderson, who features with me on BBC Radio Gloucestershire’s Book Club slot, had come along for moral support and interest. My reading went very well, despite spotlights shining so brightly that while on he stage I couldn’t see anyone in the audience. They could have all gone home, as far as I could tell. Fortunately, their copious laughter in all the right places in my story assured me that they were still there and hanging on my every word. I had to pause a number of times to allow the laughter to run its course, which made me feel like a stand-up comedian, in the best possible way. It was gratifying to be approached by a number of people afterwards saying how much they had enjoyed my story and how funny it was. Several said they could relate to the heroine Jennifer, who discovers a secret recipe to turn chocolate into gold. It was lovely to see how the story chimed with them on a personal level. If you’d like to read these stories, plus over 70 more, you can catch them in the handsome new Stroud Short Stories anthology, now available to order via Lulu here, edited and published by Nimue Brown. The books are a bargain at £10 (including P&P). That’s just 12p per story – worth every penny. My copy is on my bedside table, ready to dip into for quick late-night reading, though I’m already finding it’s impossible to read just one story at a time without being lured on to read many more. All in all, it was a memorable and rewarding evening. Although authors who read at any event must “miss a turn” to give others a chance the next time, I’m already looking forward to the autumn event. 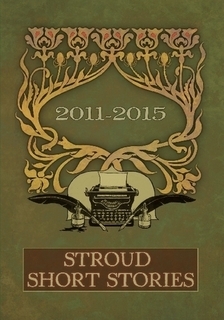 Stroud Short Stories takes place every six months. The next event will be held in the autumn with a spooky theme. To be kept informed of event news and for details of how to enter the competitions, follow their website: www.stroudshortstories.blogspot.co.uk. It seems there are many cool literary events going on in your neck of the woods! Sounds an interesting evening, Debbie. You are having a busy time!